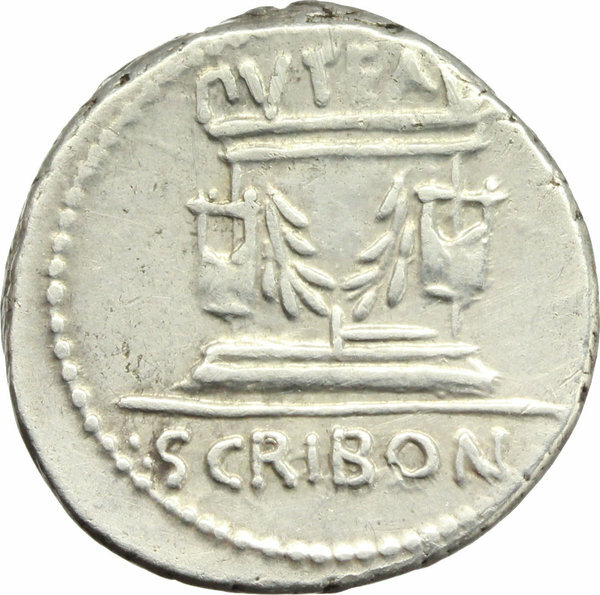 Coins 264 L. Scribonius Libo. 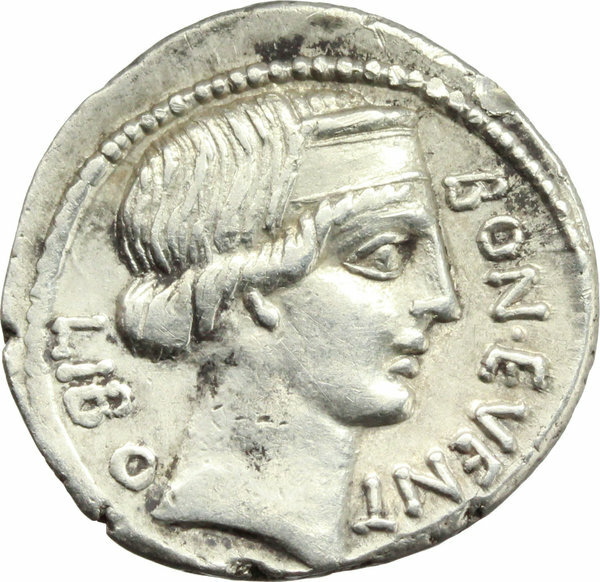 AR Denarius, 62 BC. D/ BON EVENT-LIBO. Diademed head of Bonus Eventus right. R/ PVTEAL-SCRIBON. Scribonian well; anvil set on base. Cr. 416/1a. AR. g. 4.03 mm. 19.00 A heavy example, nice and lightly toned. About EF.